Revealing the shape which gets bigger the more you take away... in which an infinitely increasing surface area meets an infinitely decreasing volume. There is a strange shape that gets larger as it gets smaller. 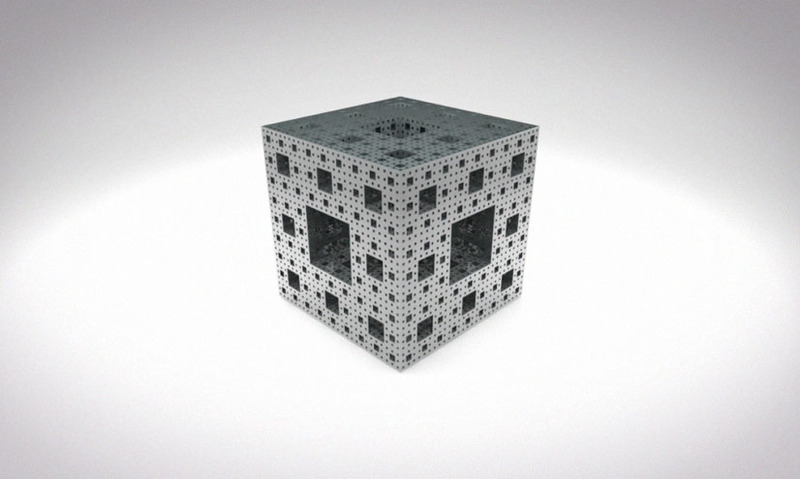 To create a Menger Sponge, first start with a cube. Split this into 27 smaller cubes, similar to a Rubik's cube, and take the middle cube out of each side, as well as the centre cube. This is the first iteration of the Menger Sponge. Next, apply the same principles to each of the remaining smaller cubes, creating the following shape. This is the second iteration. This method can be continued indefinitely, creating smaller and smaller holes in the model to create an increasingly intricate sponge! 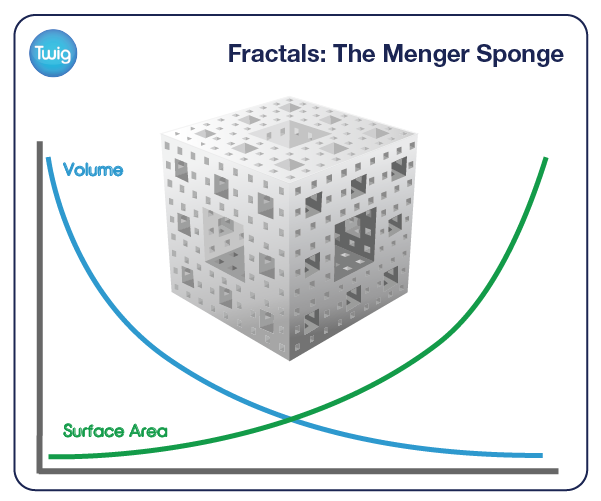 The curious aspect of the Menger Sponge is that as the volume decreases, the surface area increases. Each new hole exposes more new surfaces than it removes. But as the surface area increases with more and more holes, the volume of the sponge becomes smaller and smaller. So the surface area increases towards infinity, as the volume gets closer and closer to zero.